In my last blog, I wrote that olives picked directly from the tree must be cured first, otherwise they are totally not eatable. Curing and flavoring olives is an ancient culinary art, which we are rediscovering as today we are more in tune with the earth and healthy living. I can think of five or six methods of flavoring olives, mostly from the memories of my grandmother’s kitchen. I use these methods for my enjoyment and for holiday gifts I prepare from my kitchen. My friends’ faces lit up like Christmas tree when they receive such a gift. 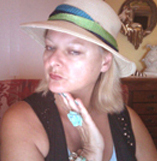 To make it fun, I will list only some of the easiest procedures, but you can always contact me, if you like to know more. Get black olives freshly picked and not cured. Place the olives in a glass bowl, cover them with cooking salt over night. The next day clean the salt away with a cloth, place them on a baking sheet and bake for about an hour at 248°-230°F. until crinkled and dried. Cool down, add a few garlic cloves finely sliced, orange or tangerine peel finely sliced and a hand full of fennel seeds. Mix well, fill a glass jar with the baked olives and after 4-5 days of marinating in the spices the olives are ready to eat. 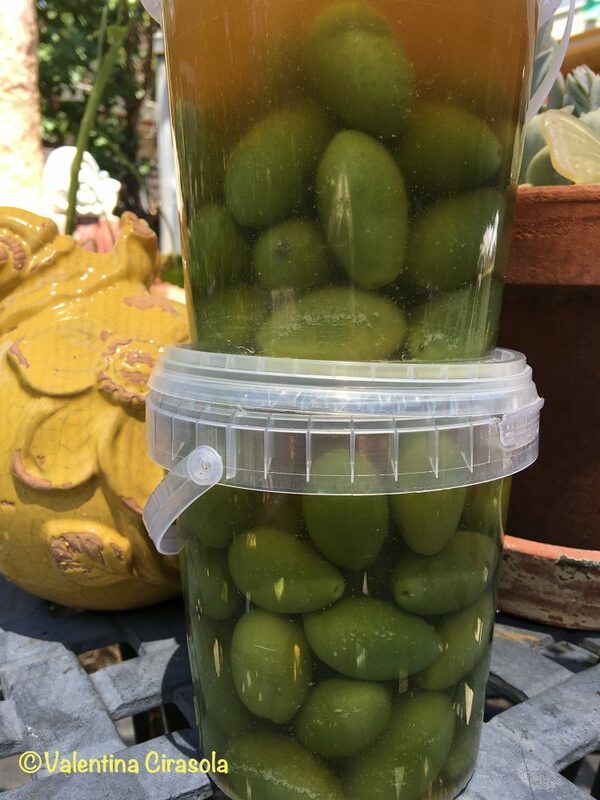 The large and fleshy green olives are also called white olives due to the bright color they pick up if they have been curing, but no need to cure them for this flavoring method. Take the pit out, wash under current water and leave them in a clean water for a couple of days. Change water every so often until the bitter taste is gone. Dry them with a cloth. Place the olives in a glass jars, add salt, oregano, chili pepper to your liking and cover with extra-virgin olive oil, cap the jar tight. After a couple of months they are ready to eat. Use freshly picked black olives, clean them with a cloth. Place all the olives in a large glass bowl, add a good amount of coarse salt to coat well, orange peels without the white flesh, wild fennel fronds and a few garlic cloves mashed up. Keep them like that for about three days, but turn them over every so often. The olives will exude some water, drain it a couple of times a day, otherwise if the olives rest in that water, will not lose the bitter taste. After three days and after the water doesn’t come out anymore, place olives in a cloth and dry well. Eliminate orange peels, fennel fronds and garlic. Put the olives in a glass jars, fill with extra-virgin olive oil and close tight with a lid. They are ready to eat after one week and will keep for three months. Time to harvest olives goes from late August to November, there is plenty time to cure or flavor them, or both and enjoy all that bounty for the holidays with aperitif and appetizers. Tonight on my table there will be celery stalks filled with creamy Gorgonzola cheese, charred green peppers, red wine, a small piece of focaccia and an abundance of olives.